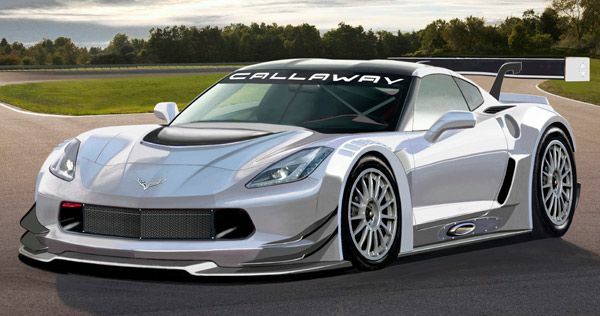 Callaway Cars has received the required letter of authorization from Chevrolet allowing them to be the appointed specialist representative for building and holding the homologation of the Corvette C7 FIA GT3 race cars. The plan is to have Callaway Competition GmbH, the Leingarten, the Germany-based division of Callaway Cars, to build the FIA GT3-approved C7 Corvette Racecars. Currently, Callaway has also been the homologation holder for the Corvette C6 Z06.R GT3 car with the FIA — where currently 10 of them compete in three different championships. The Callaway team is currently the most successful in GT3, having taken numerous drivers and team championships from 2007 to present. To estimate the price of the upcoming C7 GT3 cars that Callaway will build, each current Z06.R costs around 235,000 euros ($310,000 USD). Isn’t the C7 not apt to be GT1?